Making delicious food is our passion. With every corporate catering engagement we strive to delight the crowd with vibrant color, complex flavors and innovation. 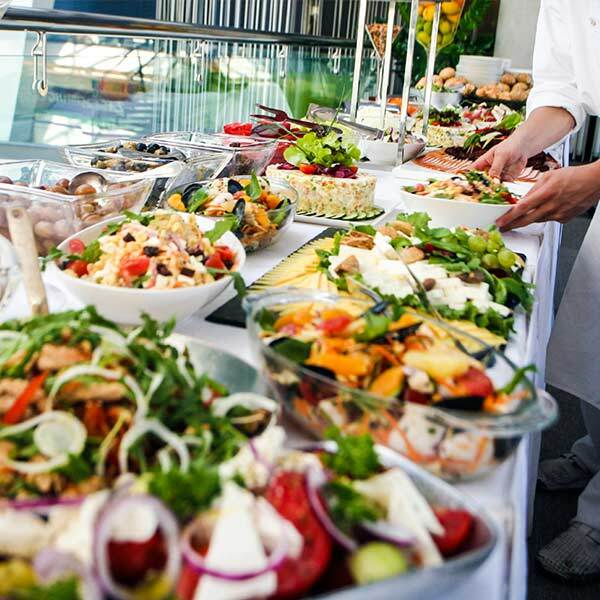 It’s our mission to deliver exemplary catering services, extraordinary quality, and progressive event planning. Our brilliant, corporate catering crew will whip up a delicious, catered menu tailored for your event. A menu that will pair perfectly with your event’s theme and style. The French Gourmet provides its corporate catering services for businesses throughout the San Diego Area. Our specialties include conference catering, special events, and company meetings. I want to send a personal thank you for the beautifully prepared and served luncheon today. All the food was delicious, as promised, but the absolute BEST in my opinion was the sea bass. It was superb! Your serving staff is exemplary and everyone here had a lovely time. Thank you for, once again, for giving Chicken of the Sea employees an event to remember.